The second film to be adapted from Frank Miller’s series of dark noir graphic novels, Sin City: A Dame to Kill For is a worthy follow up from director Robert Rodriguez. Made up of at least half original material written by Miller, the film is less ambitious than the original installment, but that works to the film’s advantage. Smaller in scope, the film has space to breathe a bit, giving the whole of it a looser feel overall, while not departing from the foundation of the first film. The film features returning cast members Mickey Rourke, Jessica Alba, Rosario Dawson, Bruce Willis, Jaime King, and Powers Boothe. Joining them are Josh Brolin, Joseph Gordon-Levitt, Eva Green, Dennis Haysbert, Ray Liotta, Christopher Meloni, Jeremy Piven, and Christopher Lloyd. Like the original film, it is broken into separate stories mostly connected by a shared setting and a few overlapping cast members. Sadly, most of the performances are merely serviceable, with some standouts. Powers Boothe is perfectly menacing as Senator Roark, chewing up the scenery with a sense of gravitas. Christopher Meloni seems to really enjoy showing a different side of his Law & Order cop persona. Ray Liotta and Christopher Lloyd’s cameos are fun as well. But the real winner here is Eva Green, bringing the raw, sexual charisma she showed off in 300: Rise of an Empire to this Miller adaptation as well. Functioning as both a prequel and a sequel, the stories in Dame to Kill For take place both before and after the events of the first film. Luckily, only one of the vignettes relies heavily on the audience remembering the events of the original from nine years ago. It definitely allows the film to mostly function as a standalone experience, which is a nice change of pace from the interconnectedness of other comic book universes at present. The stories themselves are mostly rooted in noir tropes, not illuminating anything interesting, but relishing in the presentation. The original film is easily the most literal comic book adaptation ever brought to the screen, and this is right behind it. The visual styling, from the camera angles, to the digital production, all the way down to the wardrobe, is all in service to bringing Frank Miller’s dark artwork to life. This strange hybrid between live action and animation is even more refined than in the first film, and even enhanced somewhat by use of 3D. Parts of this film look like floating paper cutouts, but in a way that is much more dynamic and exciting than that actually sounds. I never truly clicked with the twisted and dour first film, but I found myself having a lot of fun with A Dame to Kill For. 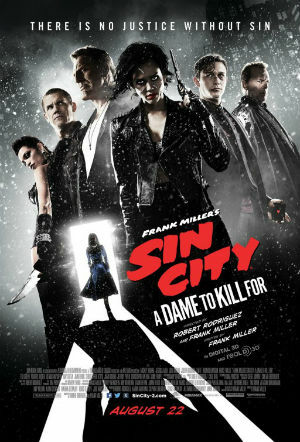 It felt more in line with the B-movie fun of Planet Terror and Machete, a much more fun experience overall. I hadn’t revisited the original since I saw it in theaters originally, but I am already looking forward to seeing this sequel again. 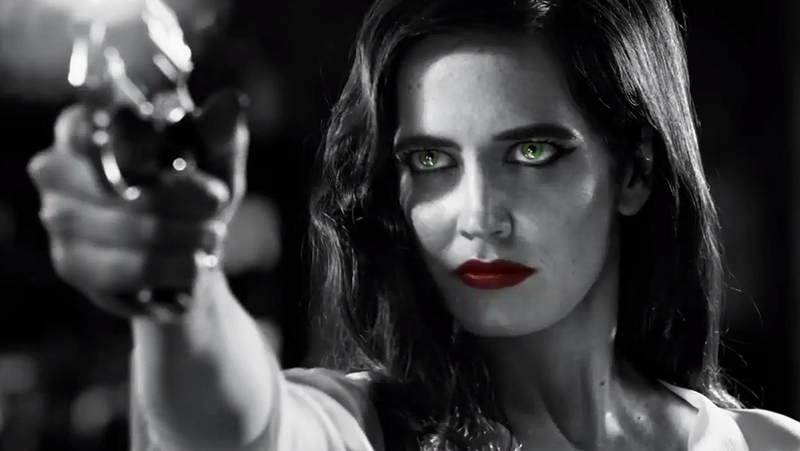 Sin City: A Dame to Kill For opens in Philly area theaters today.